When I first entered my home church's youth group, Jaclyn was pretty much instantly my friend. She was happy-go-lucky and so inviting. She made me feel welcome and at home. Now, all these years later, I get to be there for her special day as she says "I do" to the love of her life. Jaclyn + Dallas are definitely meant to be together. Dallas is such the gentleman, and you can tell those two are crazy for each other! 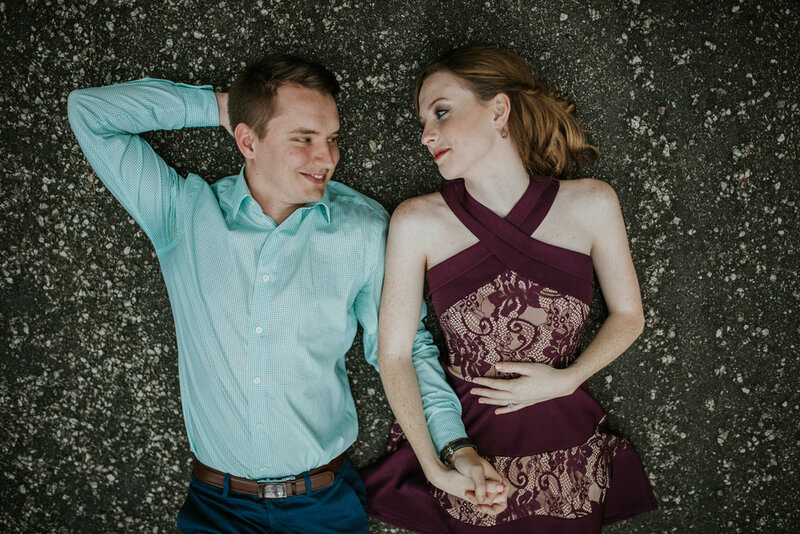 So of course, as you can tell that I'm obsessed with these two, how about we all "ooh and ah" over all of their engagement pictures together. I know every time that I look back at these pictures, I want to give them all of the heart-eye emojis! !